One last topic before hitting the sack. I am sure this question has been asked but are there any plans to make a NATO expansion, like Strike Force, for Black Sea? I have some great miniature scenario books that would need NATO units to develop them for the game. Hoping this is the plan. This is from a post from Steve titled Another reason for a centralized forum that talks about the future. He mentions Marines as being an obvious first choice below, which would be the same process as CMSF. Marines, British, Nato. Time will tell. Was there ever any mention by Steve about irregulars also being in the first module or was that just speculation by us fans? He talks about it in SF2 and leaves the door open for irregulars in BS, but we'll see. Thank you for the info. I do agree with Steve that CMBS does call for modules as were done for CMSF, with the Marines, Brits, and NATO. That would make way for many scenarios taking place in Western Europe, like the ones in my scenario books. As always, I and the rest of the players will just have to be patient. Since I was on a beta-test and development team for another company I do know how long the process can take at times. I hope you all have a pleasant day. He does say Marines for a first module. I would be very surprised if there weren't a second module with other NATO forces. IMHO Poland seems like a natural choice for one of the armies. Yeah I vote Poland as well. Large GDP, they seem to be the real power over there. Get real.....Sweden's is bigger (Poland has slightly more economic clout than Belgium). Cool. How does it compare to, say, the republics of former Yugoslavia, or Rumania, or Bulgaria, or the Baltic Republics? Just to pick out a few randomly chosen regional neighbors. Fair comment.....Certainly a lot more financially powerful than Ukraine, & that's a fact! Michael, I believe, sees where I'm coming from. Poland is larger than any nearby neighbor of Ukraine and has much at stake as to what happens there. Plus Poland really doesn't like Russia of course. @Derkommissar I believe you're right about the Lore. On reflection it makes sense TBH and it might open the conflict up, assuming a strike by one side or the other on or from Kaliningrad. Alright it's all settled then. We'll see the Poles in CMBS by about 2025. But seriously, I think you'd also need the Germans in a NATO module . The Germans, of course, were brutal to the Ukrainians in WWII in typical stupid Nazi fashion after many there welcomed them at first, but in this fictional war I'm sure Ukraine would have no objections to German help. I like the suggestions. I would advocate for Canadian Forces to be included. Given a significant population of Canadians who descend from Ukrainians the connection is strong still and Canada has provided training and arms in real life. I feel confident that Canada would contribute troops to a NATO force in this fictional scenario. I'd like to see the French in the game (CM:SF2 too), because Leclerc. Can we stretch to non-NATO units? 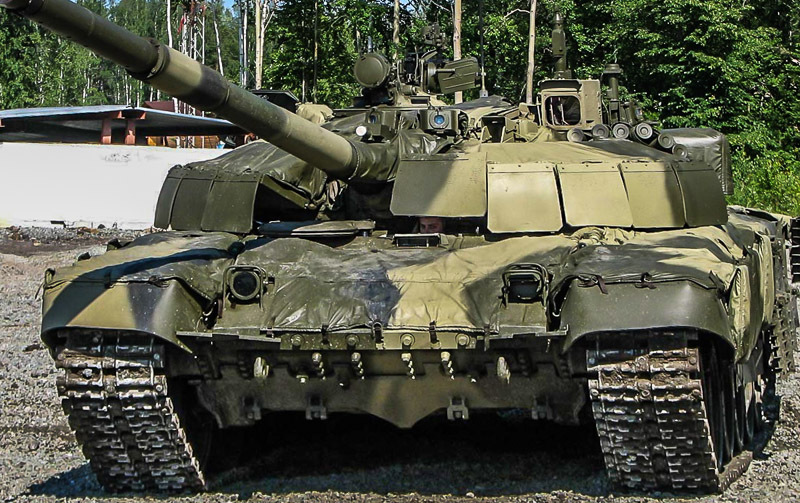 The absence of earlier T-72s like the T-72A/AV, T-72B1, T-72BM/BA really limits what we can do with the game, all are present in the arsenals of both sides, The T-72B1 being rather prevalent. Now wouldn't that look good with a Javelin going straight through the top? 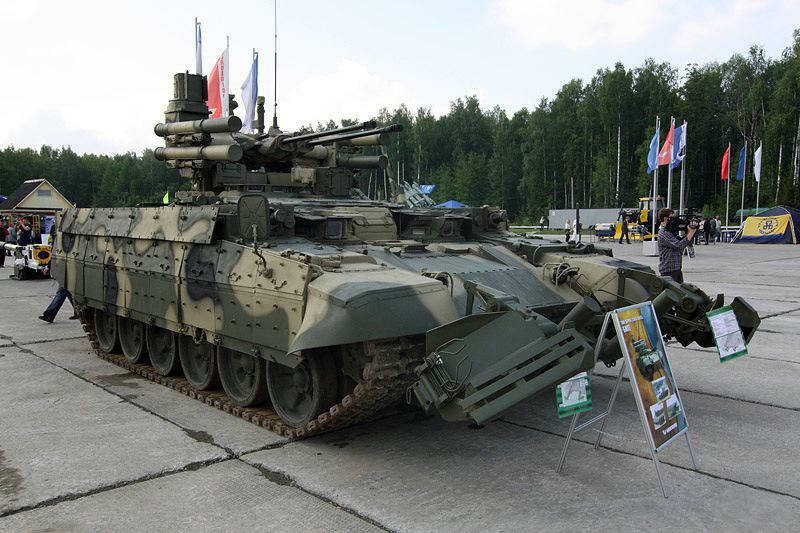 As for additional Russian units, I'd like to see the BMPT (Terminator). Or the frightening TOS-1 or TOS-1A (Burantino)!!!! 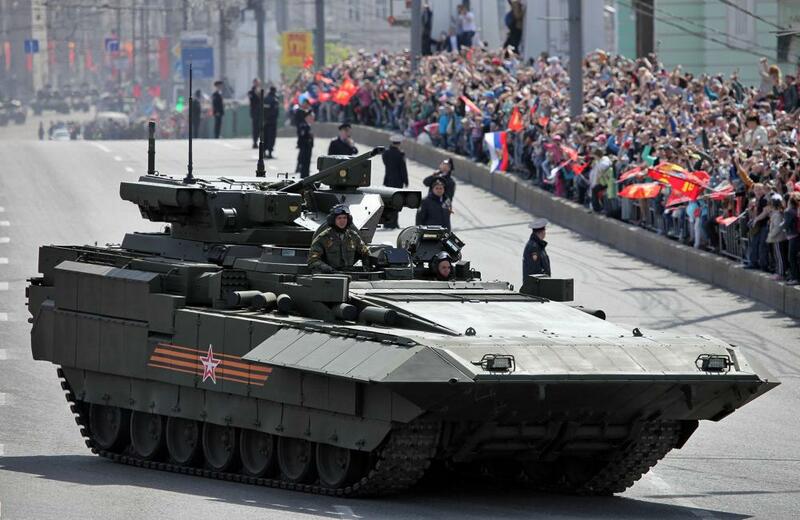 Or the new T-15 Armata Heavy IFV. 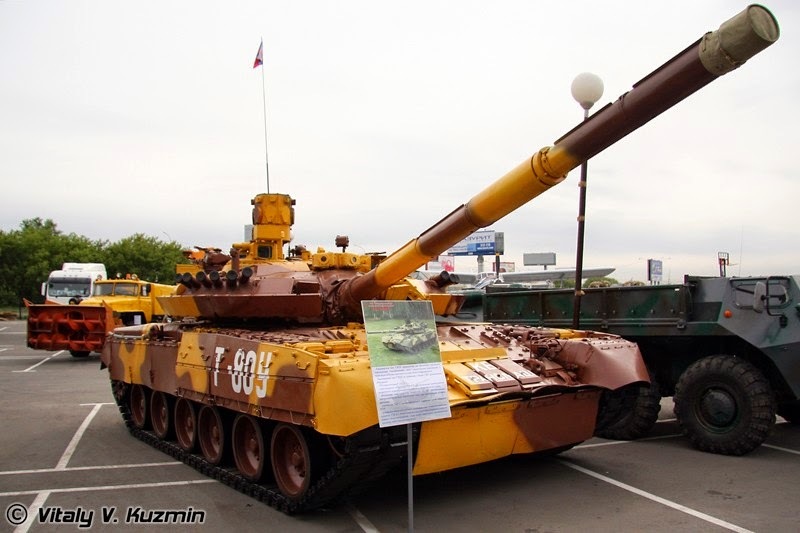 If CMSF Canadians can have Leopard 1s, I think it's reasonable for T-80s for Russia. IIRC I think the Canadians would even have had to pull their 155mm self propelled artillery out of storage for their use in the Shock Force war, but a Canadian Army officer playtester talked Steve into it. Of course everyone likes the Canadians and are willing to humor them except maybe the Danes because of those islands they squabble over. P.S. Almost forgot the Chinese are rather perturbed at Canada right now of course. 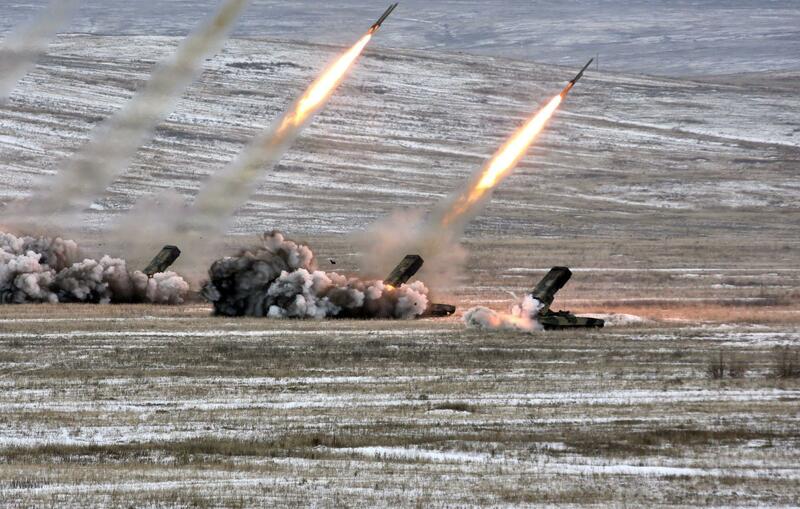 Now you are talking.....Also BM-27 Uragan, BM-30 Smerch and the humble old BM-21 Grad are all sorely missing from the Russian & Ukrainian line-up. Not sure how I'd feel about the Armata family being in the game.....I'd almost prefer to see some of the Russian types that didn't quite happen in the real world (T-72BM2, T-80UM1 Etc. Etc.) as these would be a good match for all the other fictional AFVs in the game. Wouldn't that make for an interesting game title, the Chinese vs. the Canadians, eh? Very much in agreement about these units.